ATHENS (Reuters) – Archaeologists have unearthed gold jewellery, weapons and pottery at an ancient burial site near Pella in northern Greece, the birthplace of Alexander the Great, the culture ministry said on Thursday. The excavations at the vast cemetery uncovered 43 graves dating from 650-279 BC which shed light on the early development of the Macedonian kingdom, which had an empire that stretched as far as India under Alexander’s conquests. Among the most interesting discoveries were the graves of 20 warriors dating to the late Archaic period, between 580 and 460 BC, the ministry said in a statement. Some were buried in bronze helmets alongside iron swords and knives. Their eyes, mouths and chests were covered in gold foil richly decorated with drawings of lions and other animals symbolizing royal power. “The discovery is rich in historical importance, shedding light on Macedonian culture during the Archaic period,” Pavlos Chrysostomou, who headed the eight-year project that investigated a total of 900 graves, told Reuters. Pavlas said the graves confirmed evidence of an ancient Macedonian society organized along militaristic lines and with overseas trade as early as the second half of the seventh century BC. Among the excavated graves, the team also found 11 women from the Archaic period, with gold and bronze necklaces, earrings and broaches. Nine of the graves dated to the late classical or early Hellenistic period, around the death of Alexander the Great in 323 BC. Alexander, whose father Philip II unified the city states of mainland Greece, conquered most of the world known to the ancient Greeks before dying at the age of 32 in Babylon. Educated by the ancient Greek philosopher Aristotle, Alexander was never defeated in battle. As Macedonian's, we don't spend the energy and billions of euros to claim that Macedonia was Greek. We know who we are and God gave us that right, and He shall do so again. It's written in the Bible. Only who can see it will understand it. Hmm, so much for the Greeks being Orthodox!?!? Or are they? They can not speak or understand the language of the Chosen one's -- Slovene!!! People, please, direct your energy and effort towards finding Alexander’s tomb, into rebuilding Ancient Athens and all the most important cities. From what I know Alexander, after his death, should have been taken to Aigai, to be properly buried with the rest of the Kings, including his father. Ptolemy I Soter insisted otherwise and took his body to Memphis, and his son moved it to Alexandria to use it as a relic, a symbol and pilgrim attraction. This seems to have had a great cost. Everything crumbled, some say because Alexander was not in Aigai, with his family. I say, we must find the tomb and take it to Aigai to be buried with his family. That will put everything back on course (spiritually speaking)… The mummy of Alexander was displayed much time to the open public in Alexandria. The filthy Romans even took the breastplate. That homosexual, Caligula must have destroyed much of the body, that filthy barbarian. Then they had it closed. I say that we must not cooperate with the Egyptians. They will want to keep the remains for themselves. We must locate the place and see if anything is still there. If it’s not, we must follow the course of actions but last time it was heard of it it was around 200AD, when Septimius Severus closed the tomb. 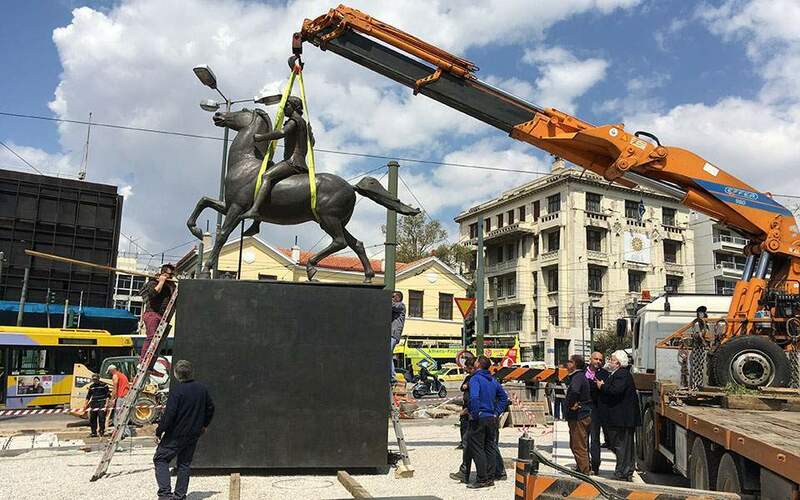 And after this is done, everyone should concentrate on rebuilding the Acropolis, the statues and to make Athens a cultural center of the world, just like it once was. It would take years but think about the splendor of the rebuilt temples. Think about the thousands of visitors that will flock to see it with their own eyes, at least once in their life. So you see my dear Greeks, there are better things to do than to spend your time with these narrow minded people in endless discussions about nothing… I just hope that you understand what I want to say and trust me, we should look for more important things. So important that I don’t even want to write about on the internet. If you want to rebuild the glory, you must rebuild the splendor. Cool down, as you are overheated right now to be able to open your mind, and explore more this subject which apparently concerns you…and if you have the courage and listen to the references Ntemi recomends…and don’t be afraid no one will be watching you…you may learn something supported by historical fact. I don’t want to say that it appears that you have been brain-washed, but lets leave that aside for a moment. 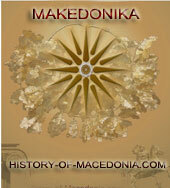 Since you present yourself so knowledgeable can you explain how the Macedonians worshiped the gods of the Greeks? The gods who lived on Mt. Olympus? and held festivals in their honor? Oh, and how the Greeks worshiped gods in the land of the Macedonias? Also before I leave, the true name of your country is Vardar Bonavina. It has been that for centuries until Tito, a very ambitous Croat, for purposes of his own, named it in 1944 or so, Province of Macedonia. As a proud individual you appear to be you should seek and claim the historical name of your country. Namely, that of Vardar Bonavina. What makes you think it’s not you who has been brainwashed buddy? You continue to provoke and insult by presenting claims you’re not able to confirm by any means. This is an offence to all free-minded people and contrary to scientific reasoning you obviously lack. “Elias” and “Ntemis” said it all. Go and educate yourself first instead of referring to your state propaganda you’ve been fed till now. Read up for example into this site, which has a great amount of evidence-based information. Otherwise, you’re exposed to amusement and further scrutiny. You’re leaning way to far out! evrybody knows who were the combatants at chaeronea thats when the greeks become ruled by the macedonian and dont try to explain with some primary school facts who was who on the batllefield ,which is primary informatin(and horny pedofiles like dimitrio can say bravo to you)try to explain who demosten can be paid when he was the one who convinced the greeks to fight at chaeroneaagainst the barbarian tiran,oooooooooo now he is the one to whom philp has paid the money to make the philipacas(it seems you are human who is going to sell his family not demosten, just to be the greatest greek)why the greeks were fighting against the macedonian kings in the macedonian roman wars, because they didnt like it to stay united on which you were proud.he ha ha.Dont try to be funny brainwashed degeneric, people like you are poisening the good greeks with lies.Philip and panhelenic politics,i wonder how if he was a greek can be panhelenic, or now you invented the most degeneric lapsus or it just sliped away to you from your conciense.About the sh.. that you have mention for Alexander the philhelenic -do yoy realy know ehat a philhellenic means or you are giving your own retard explanation on that.I am a macedonian and i cant be philmacedonian.So my litle parott it seems that he was not hellen like you claim.your answer on fraudelant 7is a question if you didnt notice , and that is hapening with pathologicly mentaly retarded persons when they dont have a real answer to reapet after others and constntly sayin words like fasist fasist bulgarian nazi colaborators,hahahahaha o boy i realy felth sory about you, you can run away from the truth but you will meet the truth when you going to die and its going to be too late to change yor mind about the macedonians.At the end you probably herd the story about king solomon(dont say he was a greek)the two mothers and the baby.Well if macedonians were a greeks for real or part of the greek nation and you feel something about them you would not call them Monkeydonians but that is one more of your ugly fasistic face, you were going to treat them with respect,but it is not your fault, they teach like that and you cant learn more because you can learn a donky while its young and not like you. I realy like you , you have never insolted me and you realy have some interesting opinion , i like the way you are thinking , but only from you it seems i can get some human answer and i hope more of the greeks are like you,you are realy trying to come out with facts but trying its not good enough for the people who is representing the macedonian minority in greece, but you need to understand that not only the bulgarians were slathering my macedonian people they were also slathered by the greeks andarts ,probably some parott like nmetis who canot understand nothing that is not greek.You are trying to push the question about the language slavic or what ever , it is truth today we the macedonians we are realy speaking a slavic language which is not same like the bulgarian neither serbian, nothing else but simular , same with the croatian russian and the polish but they hav never said that were like them,you like it or not , slavic tribes manage to get to Solun and farther and they were living there and they mixed with the people who were living there,they didnt find deserted land,its a fact that the descent of the ancient macedonians were living there ,so the common macedonian people has accepted the slavic language and melted with the slavic hords,same like the bulgarian tatars accepted the slavic language and with years they become a mix of slavics and tatars , which are you like it or not completly diferent from us the macedonians.Just admit the truth that you took over the aegeian part of macedonia from the turks and try to helenise the mix of the slavic and ancient macedonian people so that today you can claim the teritory , ADMIT THAT THERE IS A REAL PEOPLE ONCE MAJRITY TODAY MINORITY WHO ARE NOT GREEKS BY BIRTH.What were the first reasons for the first balcan war(LIBERATON OF WHICH PEOPLE)??????? I don’t know, nor I do actually understand, what makes you hate us Greeks, so much. Indeed, all those centuries of Bulgarian, Slav and Serbian occupation and oppression may have turned either you or, indeed, many of the slavophone ethnic Macedonian people of the north against us Greeks; that is, against your ethnic and true Macedonian brothers of the south, who remained Greek throughout the centuries and yet succeeded in remaining faithful to this date to the correct notion of Macedonianism, as well as, to the cosmopolitismos and the philosophical ideals of Hellenism and of Greece. Nonetheless, I personally consider you still as my ethnic Macedonian brother, although you may seem to have lost much of your original Macedonian Hellenic culture, national consiousness and ethnicity. I personally insist on seeing in you always the ”good old lad I used to have and lost”, albeit this is done quite subjectively though, to say the least. Moreover, to me and to many other modern Greeks, as well who think likewise to myself, you still remain an ancient Macedonian brother, which at some point in history got lost, probably due to the many barbarian raids and invasions into our glorious Macedonian Greek land. Moreover, I guess that it is only me in this philoxenous communication media who essentially does see that or has the strength to let it come out. On the other hand, maybe I consist of a unique exception, as well. Most of our Greek Macedonian ethnic brothers and sisters, what they see in you in nowadays, is neither your true Macedonianism nor your ancient free Hellenic spirit, which has yet only recently found the opportunity to come out -that is, ever since the demise of the Stalinist Yugoslavian oppressive regime. Nonetheless, despite of your Slavic or Bulgarian name (i.e. ”Bojan”) and despite of your equally Slavic or Bulgarian surname and spoken language too, and despite of all the nationalist hatred you ‘ve been brought up with all these years, since you were significantly exposed to a foreign culture and to the panslavicist propaganda, which has at any extent been also the culture, language and the propaganda of your former Slavic and Bulgarian oppressors’ and occupiers’ of your land throughout the centuries, and along with all the ultra-nationalist ideology they ‘ve succeeded in infiltrating you with, I still consider you an ethnic Macedonian brother who lives there in the north and who will soon find his correct destination home -that is, he ‘ll manage to get back to the original and historical notion of true Macedonianism, as well as, will return to the cosmopolitan ideals of Hellenism too. Moreover, it is quite ridiculous though to claim true and historic Macedonianism only for yourself since you still speak in nowadays the west-Bulgarian language that is also mixed with quite a few south-Serbian words. It is also embarassing to see an ethnic Macedonian brother who is at the same time proud of his Slavic or Bulgarian name and surname, which has been chosen for him at some point and imposed upon him and upon his whole family in the distant past, by a foreign and an also barbarian oppressor and occupier of your glorious Macedonian land, be it either the Bulgarian or the south-Slav or even the Serb. It is ridiculous not to be able to read and write in the original Macedonian language -in Greek, that is. It’s really embarassing not to be able to read the ancient Macedonian epigraphes, epistoles, keimena, dokimia and textbooks from the original and also to find it necessary and appropriate for a good translation in English, in German or in French, in order to understand what exactly your ancient forefathers were actually talking about or how they felt about themselves, what they thought about their culture and also how they perceived of their glorious Hellenic civilisation, which they managed to spread to the far and to the distant ends of the then known world, to the cosmos and to the whole of the ‘ecumena’. Try to take advantage of this particular site (and of others, as well). Try to see it as a significant source of information. Be critical though to anything that seems to you as an ‘hypervolis’ or, indeed, as a nationalist Greek ‘extravaganza’ and exaggaration, either. Try to make your own opinion about historic facts, the so-called ‘truths’, they have fed you with your oppressive and misleading Slavic and Bulgarian political elites. At the same time, my dear brother Bojan, be also very critical to anything that does not fit to your own explanation and to your own particular ‘apopsis’. As you may have already understood, not even all modern Greeks have the same opinion about matters that concern either history or politics. Hence, choose what you really like and also understand, and leave aside the rest that do not withstand the test of historic facts. Nonetheless, do not let go on information that seems to you of any particular significance. Search deep and yet more to discover the hidden truth. There is one concrete historic truth and if you are stuburn enough you may discover it, as well. Then, it is up to you to let it go or not to let it go and begin spreading the news to others, as well. For it takes much courrage and strength to either confront history or, indeed, to accept it and learn how to live in peace with it and with a clean consience. I found some free time to have a couple of comments in relation to the newest spasmodic seizure of our brainwashed Northern Neighbour. This must be nominated as another candidate of the “Most Stupid comment” award. So except from the ridiculus attempt to cover his previous Idiocy who called Philip…an “orthodox” Macedonian King, now he reaches dangerously the limits of Stupidity by claiming “was desagree with the prohellenic politics that some of the royal famil were following in that time”. Firstly, Mr Moving Liability which member of the Macedonian Royal family followed pro-hellenic policies in the time of Philip???? Answer: Philip followed a Pan-hellenic policy. Wake up at last!!!! He was the one who united the Greeks against Persians as much as you hate it. I cant believe there are so brain-damaged people like you in the world. Can anyone make head or nails from the utter gibberish posted by this pitiful existence??? You mean Perdicas/Alexander II who were the Macedonian kings of his time had a..Persian policy or sth??? My boy you are simply lost in space. Not only you know sh*t about history but you cant stop demonstrating it!!! I hope you were going to learn something too but after we witness we are dealing with a severe brainwashed case like you, we are not that optimistic. Keep up amusing us. You re doing just fine!! P.S A small request from the webmaster/s. I propose to have a poll in the blog upon the “Most Stupid Skopjan Comment of the Year”. Our brainwashed soul Bojan, most likely will win hands down but i am certain we ll also spot some other gems from brainwashed Skopjans. The main problem with the brainwashed Slavs of FYROM is that in their invented “version” of history, they have totally managed to mixed everything up!!! This is what i name an “FYROM’s Historical Salad” where the most Pointless, Stupid and Ignorant claims are going to be found inside in such an petty level that it makes you wonder if it worths wasting your time with them. A couple of comments over some of the most Idiotic claims i ‘ve ever read in my life from our new buffoon in this blog. Is that what they are feeding you in your fascist state?? In the rest of the world, its well known Philip United Greeks in a Pan-hellenic campaign which finally his son Alexander did, spreading Greek language and culture everywhere he passed. Obviously in classical ages noone was spreading foreign languages and cultures but solely his own people’s. Your outrageous limited knowledge of history is stunning. Otherwise you would have known by now Thessaly was NOT a city-state but was a Greek region governed by baronial families and namely a Tagos, yet they were Greek. If you knew anything about history you would have known Epirus was a kingdom and not a city-state yet it was Greek. If you knew anything about history you would have known Cyprus was consisted by many kingdoms and was not a city-state, yet these ones were Greek. Another totally wrong claim from the peddler of false history. Today everybody who has read many books about ancient Macedonians know they were speaking a Greek dialect except a tiny fascist state in Greek Northern borders where they still brainwash their inhabitants with fairy tales about Macedonians being proto-slavic tribe for the amusement of the rest of the world! This is nominated as the most DUMB line ever read in the net about history. I love the way this lost brainwashed individual has mixed up religions appearing centuries later with classical ages. It seems common sense is always absent from the Idiotic “version” of history fed to these poor people by their fascist state in FYROM. And why you, the brainwashed Slavs of FYROM conveniently ignore the fact NOT only that you have NOTHING to do with ancient people but your SlavoBulgaric ancestors mercilessly murdered way too many of the original Greek inhabitants of Macedonia during Mid-Ages and speaking about modern period, your Comitadji Bulgarian BUTCHERS were killing, torturing, burning Macedonians which of course were Greeks and had nothing to do with your brainwashed cases and if there werent the Greek bands coming later to defend the Greeks of Macedonia probably there wouldnt be any Greek alive there in early 1900s. Who could forget the majority of the Slavs in Macedonia, Greece, were Nazi/Axis collaborators and along with Greek commies were butchering whole villages, stealing Greek children and sending them to the soviet countries. Ironically most of these kids are now brainwashed and transformed into Monkeydonians. Of course in the fascist state of FYROM facts were altered to present these kids never to be Greek. I would go on but i dont see any reason anymore Thats all you need to know about these sad brainwashed racist cases of FYROM. Its extremely sad what commie propaganda has done to these people. They say if you tell a lie 100 times in the end you will believe it. Brainwashed Skopjans are the best example of it. I think that you wanted to say somethin about the Dorian migration Right. Well every litle kid knows that it hapend about 1200 BC which was after the Trojan war were the helens ad their allies were fighting the Trojans and their Allies.Well guess what.The Hellens who fight the Trojans are not the one who setlled Greece in the Dorian migration or you wana say that this guys stayed clean blood and from there YOU todays greeks are coming.If they did which probably you are going to say why then they destroy the Mikenian civilisation which desapired thru night(dont tell me it was an catastrofe)And the all scientistic world knows that those and the dorians are not the same people.But like usual you dont have your one history so you want to still others.Guess what Homer said that one of the tribes who ere fighting on the side of the Trojans were Pajonians who in the time of the rise of the Macedonian kingdom were representing the most Ortodox and conservative part of the royality an aristocracy that the greeks didnt have it , because they were living in democracy. COME ON BE SERIOS , YOU HAVE THE GLOSS WHICH IS HARD TO DECODE AND IF IT WAS A LITLE BIT GREKK ALFABETH OR LANGUAGE WHY YOU DONT HELP,IN THE GREATEST RISE OF THE KINGDOM THEY WERE USIN THE GREEK LANGUEGE (WHEN I SAY THEY I MEAN THE ARISTOCRACY NOT THE PEOPLE AND THE ARMY WHICH THEY WERE MAKING)TO BETTER UNDERSTAND THE PERSIAN AND ALL THE OTHER EASTERN TRIBES WERE GREEK LANGUAGE WAS NOT STRANGE BECAUSE OF THE TRADE THEY WERE DOING FOR THOUSANDS OF YEARS WITH THE HONEST GREEKS WHO WERE VERY WELL EDUCATED NOT LIKE TODAYS GREEKS.AND PLEASE DONT TELL ME THAT I AM A COMUNIST FICTION.YOU SHOULD BE GRATEFUL TO TITO AND THE BRITISH WHO STOP THE MACEDONIANS PARTIZANS IN 1944 TO GO ON SOLUN SO THEY SHOOT 200 OF THEM BECAUSE OF THE DEAL TITO CHERCILL STALI FOR THE BORDERS. Whell my enemies greeks , you probably are angry because i find your small hiden place were you enjoy in your fantasies that Macedonia was greek. First evrybody who knows how to use internet can easily check what “ortodox” means , it is not only a way to express the religion that you bealive in.The context that i say about Fhilip that he was and it is going to remain an ortodox Macedonian King , i mean that he is one of the kings who was desagree with the prohellenic politics that some of the royal famil were following in that time same like some were followin persian and it is same today with the globalization of the world were some are followin proamerican some prorussian politic, like Alexander the Philhellen. P.S I am not giving comment on the mechanic guy. Within a country with a population of nearly 2 million, where at least 700.000 people feel Albanian, 250.000 people feel Greek or Graeco-Vlach, 120.000 people feel Serbian, 80.000 feel Roma-Gipsy and where approximately 150.000 people feel Bulgarian and struggle daily to obtain Bulgarian passports and possibly flee to Bulgaria, how many are there left who trully consider themselves as Macedonians? Since we accept that those remaining 700.000 people or so who trully feel Macedonian are indeed, the slavophone ethnic Macedonians of today, what is their nationality then? Are they Slav migrants and invaders who were once brought to our land or are they the enslaved Macedonian Greeks of the old and of an also original ethnic Macedonian Greek stock like ourselves in the south, who were once got slavicized and Bulgarianized at some particular point during the many past centuries of slavic and of Bulgarian oppressive rule and occupation? 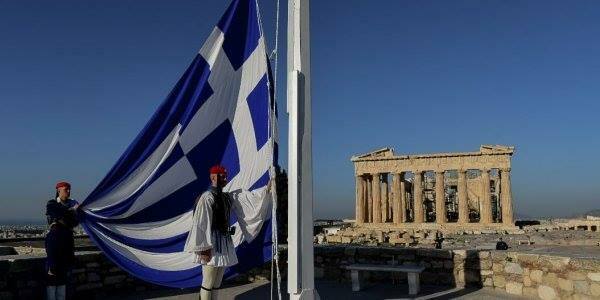 Should we assist them today find again their true and historic Macedonian Greek roots? Should we let them beleive in vain that they are Slavs from the Baltic or Bulgarians from Tatarstan? Should we not tell them the truth about their ethnicity, that they are our mislead and forcefully slavicized ethnic Macedonian Greek brothers and sisters, who were once became enslaved to the many foreign and raiding barbarian tribes who invaded our land during past centuries? Should we leave them there alone, being asleep and also enslaved, to the hands of the Bulgarians and of the Serbs? Shall we not tell them the truth about their many misfortunes? Shall we not explain to them that the concurrent language they speak is not the language of their ancient and historic forefathers, neither is that of their original Macedonian Greek ancestors -i.e. the initial Dorian (or Macedonian) Greek language that Philippe and Alexander the Great use to speak in ancient times- but, that this in nowadays is nothing but a mixture of west-Bulgarian and of south-Serbian (i.e. a midieval south-Slavic) language, which has been foreign to them and to their real ancestors, i.e. the Greek Dorian tribe of the historic Macedonian Hellenes, and yet pretend that everything is fine simply because they will get annoyed or become irritated, since they find out of that historic truth? Today, it is our prime ethnic historic-specific role towards our slavophone ethnic Macedonian brothers and sisters of the north to re-Hellenicize them, both linguistically and culturally. 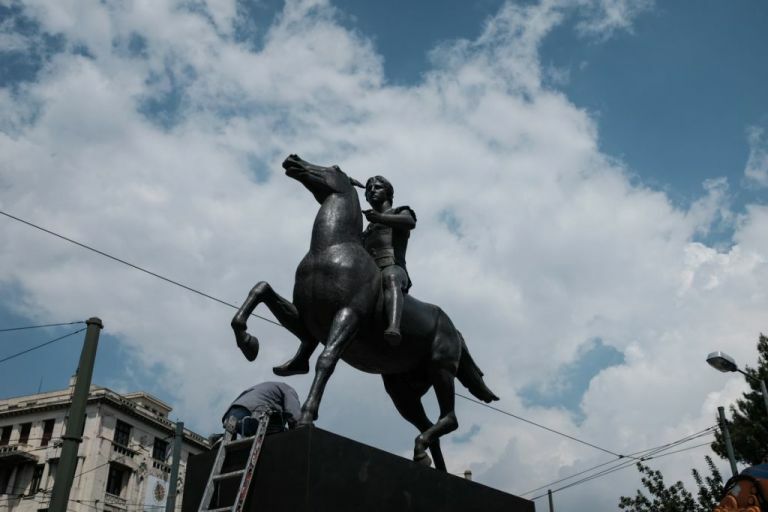 If they are ever to become true Macedonians again, they need to get rid of all the Slavic and Bulgarian muck of centuries of oppressive and foreign rule and of disastrous Slavic propaganda. Indeed, it is our historic duty today, and also our major though much-forgotten ethnic task, to explain to them patiently who they really are; that is, that they are also Macedonian Hellenes, though they have become slavophonus Hellenes in nowadays. It is unfortunate that they seem to know only half the truth; yes, they are slavophone ethnic Macedonians, indeed; though, still to this date, they also remain an enslaved and an oppressed ethnic Macedonian-Greek people, whose original language and culture were forcefully got altered and changed to that of their former oppressors and occuppiers of their land. In other words, they have become in nowadays the contemporary ”gennitsars” who play to the hands of Bulgaria, Serbia and of Russia, whereas, they have also become the marionettes to the hands of western and of american imperialism, as well as their protectorate, which is still in nowadays ruled by a foreign and oppressive Slavic or Bulgarian political elite. This is the modern Macedonian tragedy, to say the least! Slavophone ethnic Macedonian brothers of the north, wake up and get rid of all them and of all the muck of history and of Slavic and Bulgarian propagandas and oppressive rule from your honest and glorious Macedonian clothes, which have become dirty and got rotten by the same Slavic poison that allienated your Macedonian Greek ancestors, many centuries ago up there in the north. Your ethnic Macedonian Greek brothers and sisters in the south await you, and they await you for many centuries, indeed, to wake up and rise up against all those foreign and oppressive Slavic and Bulgarian elites. It is about time to discover anew your true ethnic and national roots, your real Macedonian history, your original language and your real ethnic culture; all of which has been Greek throughout the many centuries of foreign oppression, partition and of occupation of our common ethnic Macedonian Greek land, from all of them foreign and barbarian ethnic tribes who invaded our land from the north and from the east, and enslaved half of our people and partitioned half of our land. Let the Vergina Star find its true ethnic colours again! Let the Sun of Vergina sign! Let us all be free again to eternity, until the final victory of Hellenism over barbarism and of Macedonianism over Bulgarian and Slavic propaganda! 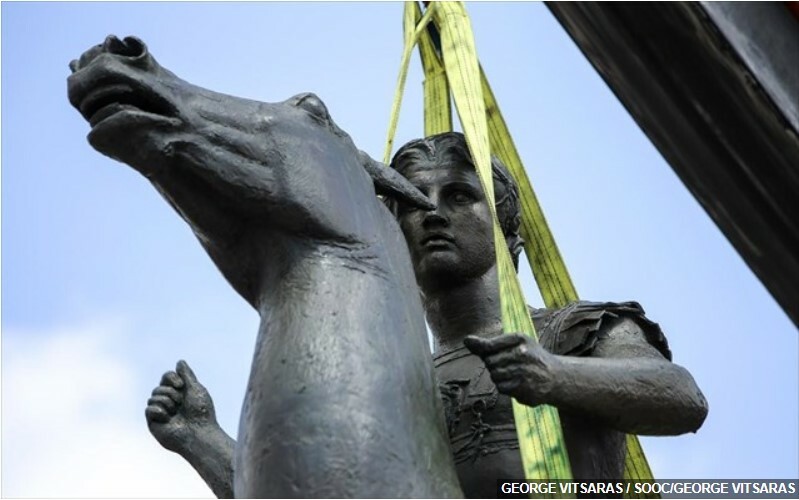 ”Alexander the Makedon spoke Slav and his famous horse -the Voukephalas, was not initially a horse but, in reality, it initially was a Yugo Zastava automobile-car, which had also a strong motor of many horse’ power due to the Slav and Bulgarian Zastava mechanics’ high tuning, so that it could ‘beat’ on the asian plain any of the Indian made Tata elaphants at that particular and historic-specific time” (lol). Thank God it was not a Lada Samara, for it would have been Russian! It could not have been a Dacia either for the Romans legions were on strike and had not yet conquered the Romanian automobile factory of the time. Nonetheless, the fact that it was not a Lada or a Dacia, does not disprove Polish claims that Voukephalas was a Polski, though still a very old model, indeed. Orthodox macedonian king hahahahahaha. Vardaskians are the greatest imbeciles of this planet. The problem is they are too stupid to get it. Another one who represents the incarnation of stupidity! 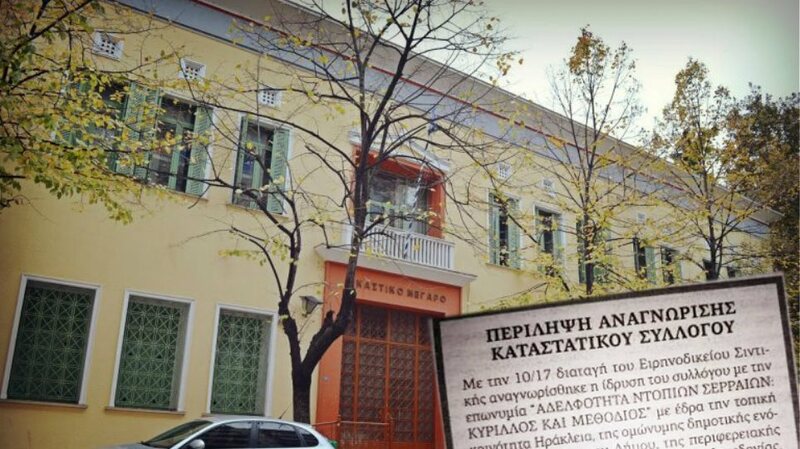 Thats truth , i hope they will not find Alexanders thomb , so that they can make it dirty with their Greek propaganda and one more proof that he is a greek.????? ?